ALESSANDRA CAPPELLETTI Menggu Shanshui Ditu. "On the Silk Road from Jiayuguan to Mecca from a camelback perspective"
3. 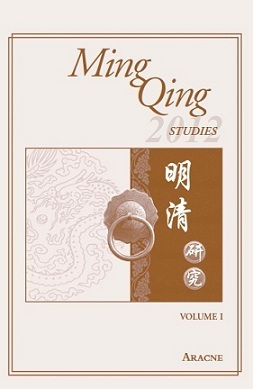 Kang-i Sun Chang, "The Circularity of Literary Knowledge Between Ming China and Other Countries in East Asia: The Case of Qu You's Jiandeng Xinhua", NACS Conference Volume: On Chinese Culture and Globalization, edited by Lena Rydholm, Stockholm: University of Stockholm Press, 2009, pp. 159-170. Review by Paolo Santangelo, Sapienza, University of Rome. 5. Hu Hongbao, Wang Jianmin and Zhang Haiyang, History of Chinese Anthropology, Firenze: SEID Editori, Review by Tommaso Previato, Minzu University of China & La Sapienza University of Rome, and Andrea Enrico Pia (The London School of Economics and Political Science).